The career path for many professionals leads to a leadership role, but there have been numerous studies that have shown that the majority of leaders are not adequately prepared to be leaders. This is especially a problem in the realm of healthcare. Physicians have held leadership roles throughout recorded history, yet many have no training or skills that enable them to function as effective leaders. And even those physicians who do not hold a formal leadership role are still seen as leaders by their patients, staff and those in the community. In an effort to gain a greater understanding into how physicians understand their leadership roles and hopefully provide insight to better equip physicians to take on leadership role successfully, I launched a series of studies into physician leadership. Not surprisingly, my exploration found that role conflict negatively effects physicians participation in professional activities that would support them in their leadership. More importantly, support was found for the importance of understanding and acceptance of physicians’ leadership roles on an individual, peer and organizational basis. It is important that physicians in leadership value their own leadership role, that they believe their peers endorse them in that role and not only as a clinician, and that the organization they work within provides them the authority to enact their role as a leader. The strongest impact I found upon the idea of a physician believing in their leadership identity was vision, and secondarily compassion. Compassion should be a cornerstone of clinical practice, but physicians and healthcare administrators should also be aware of the importance in compassion with regard to leadership. Now that You’ve Climbed the Ladder, How Do You Keep Moving Up? Even experienced, successful executives need to ensure that they are always looking forward to the future. Being successful in the past is no guarantee of your future success. Effective career management is still necessary even at the top of the ladder. Over the years, I have worked with senior executives and professionals who are very capable and have so much to offer, but they are not sure how to get to where they want to be. Even someone in the top seat of a company can feel unsure about where they are headed in the future. There is no secret sauce to get you to where you want to go, but there are some things that will help you get going in the right direction. You need to have a vision. How often (especially now in the era of GPS on your phone and in your car) do you set out to find a new location without a map or directions to get there? Probably not often, if ever. And why would you? It doesn’t make sense to set out blindly, especially if you want to reach your destination in any reasonable amount of time. The same holds true for creating your career management strategy. Crafting a vision helps you align your abilities and interests with who you are, what you want, who you want to be with, and where you want to end up. It isn’t enough to say you want to be the CEO of your company, you also have to reconcile your professional aspirations with goals for your whole life—do your professional goals fit with your family’s expectations and/or needs? Do you have to move to an undesirable location to move up with your company? These and many other things matter and need to be thought out ahead of time to craft a path to the future you want as a person, not just as a professional. Stop talking so much and listen. It is amazing what you can learn if you just stop talking and really listen to those around you. Too often I come across senior leaders who just do not know when to stop talking. No Need to Seek Out that Degree — Get an Online Education for Free! Over the last couple of years, the number of MOOCs (massive open online courses) offered through the various sites, such as Coursera, edX and Udacity has grown significantly as more universities and professors get on board with offering courses through these platforms. With a quick search on Coursera (my favorite site to take MOOCs—and yes, I have taken quite a few), I see 79 courses listed under business and management listed as a past, current or future course. Out of that number, 43 have verified certificates. Coursera’s business MOOCs have names like: Competitive Strategy, Inspiring Leadership through Emotional Intelligence, Designing and Executing Information Security, and An Introduction to Financial Accounting, just to name a few. Do MOOCs provide even more real world content than some MBA programs offer? For lifelong students (like me) who like to explore and learn new things, MOOCs are a great way to seek out that experience without the cost or commitment of a traditional degree program. And maybe you don’t want to become an accountant, but you want to learn a little bit about accounting that will help you with your own finances—or to start your own business. But, what about the verified certificates that are offered in some courses? Is a certificate through a MOOC as good as a certificate offered through a traditional university in an executive education or online program? Would your employer accept a certificate from a MOOC as proof of achievement? Would you as an employer give a promotion or a raise to an employee who earns these certificates? How about a specialization certificate in a designated area of study such as Data Science? These certificates are offered at a great value through a specified university, include many required courses, and a Capstone project. The track in data science from Johns Hopkins University includes 9 courses at a cost of $49 each, plus the Capstone, for a total of only $490. Could you use this type of specialization to show mastery in an area of study that is relevant to your job? Of course, you could still just take all of these courses for free without the certificate. But, is there value in the specialization certificate? Or even just taking a collection of course? Some people think so. If you haven’t heard about Laurie Pickard, you should check out her site, The No Pay MBA, about getting an alternative MBA (or rather coursework equivalent to an MBA) by splicing together courses from the various online offerings. I love the idea from the value perspective- both financial value, as well as the value of learning. But, I am not sure an ‘alternative MBA’ will be valued by employers—and it certainly is not by educators. Even the courses with verified certificates are not eligible for course credit through the very universities who offer them. What does that say about their intrinsic value? I think MOOCs are an outstanding supplement to traditional academic pursuits and I hope to see them continue to grow in the global market. But, will they ever be an alternative to students seeking a traditional degree from an accredited university? What do you think? As the mother of a two year old, I know that you can find wonder in anything if you are willing to look. The problem is– how often do we look? We are all so busy worrying about what we have to get done that we get bogged down in our tasks and forget to look up and give other people and things the focus they deserve. Just as I was writing this, my son climbed into my lap (with sauce covered hands from lunch) and at first I tried to push my computer a little further away and continue to work. What irony! I was writing an article about not taking time to focus in the present, and I was guilty of exactly that. Not only is it illogical to think that work produced while holding a wriggly, sauce-covered two year old would be any good, but on top of that I should have realized immediately that this little person warranted my attention. I was having a conversation recently with a colleague who told me that as an ethicist, he believed he was no more ethical than those who did not study ethics. I can relate, as someone who studies emotions, at times I am no better than anyone else in falling prey to my own emotions. So, we are not perfect and we don’t need to be perfect to be good at what we do. But, what we do need to be is diligent and this is where focus comes in to play. It is all too easy to fall into the trap of focusing on our self, especially when we feel pressured by a deadline or when we are inspired by our work. And while it is wonderful to put your head down and get something done, too much of this focus can limit our ability to be in tune with others and our surroundings. Dan Goleman talks about three types of focus in his book, Focus: The Hidden Ingredient in Excellence. Rooted in the idea of attention, the different types of focus certainly fit nicely with Goleman’s previous work in emotional intelligence. Goleman talks about ‘inner,’ ‘other,’ and ‘outer’ focus in the book. When I give a talk or hold a workshop on emotional intelligence, people often realize that the concepts within are things that they already know, but these are the things that we can fail to recognize as important and concentrate on. It is easy to allow ourselves to become distracted and fail to focus with information and instant communications constantly popping up on all of our devices. So, focus is of course important and necessary, but it is also important to recognize wonder when you see it. Having enough awareness for what is happening with others and all around us is so important if we are going to be creative and innovative. If we are focusing too closely on the task at hand, we may miss the big opportunity. Today, I am happy to report that I didn’t miss the opportunity to get some sauce on my clothes and spend some quality time away from my computer to find out the wonder that you can find in the simple pleasure of lunch with a two year old. So, concentrate when you need to, but be aware that taking time to stop and see the wonder that is present within and between others may just be the best thing you can do today. Right now, I hear a little voice in the distance singing a song about mama, and I am off to go find out about the latest wonder that just may inspire me to do even better work when I return. 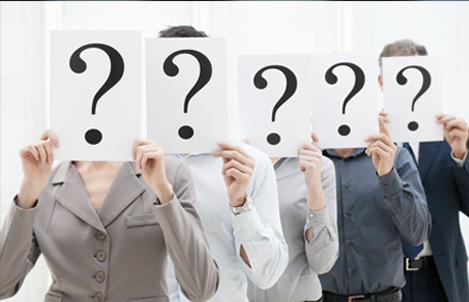 Are you always looking for ways to engage your employees? There are so many ways to foster engagement, but there is one that is quick and easy to focus on that should have your employees feeling more engaged in no time, and if you thought about it, you already know what it is. I am going to give you some hints to figure it out. If you embark on painting your bedroom that new spring color, what is the best part of doing the work? It is Saturday afternoon and you decide to break out the hose and some sponges to wash your own car (does anyone actually do this anymore? ), what is the best part of doing the work? You finally fix the light in your wife’s closet, what is the best part of doing the work? By now, I am sure you have figured it out. Seeing the end product and value of what you have done provides meaning in your work. In the case of the closet light, it may be that the best part is getting your wife off of your back, too- but I digress. Motivation is a tricky thing. I am not going to give a lesson on intrinsic versus extrinsic motivation (although, I recommend if you have not had this lesson that is something you should look into), but I want to reinforce the absolute value in engaging with your employees through a tie to the end result. The further removed someone is from the end product, the harder it may be to see the value in their work, so make sure they see what it is! Recently, I went to the grand opening ceremony for the new location of a really amazing organization, LifeLink Foundation, which is a non-profit that recovers organs and tissues for transplant therapy. What an amazing and inspiring organization. Their commitment is literally displayed on the walls of their organization, with quilts constructed by family members of those whose organs have been recovered to save others. There is no doubt the impact of the personal stories shared, and the personal engagement with the transplant recipients and their families, as well as the families of those who donated their organs has on those who work there. You might be thinking that it may be easy for an inspirational organization like LifeLink to engage employees in such meaningful work, but your organization is not saving lives. That doesn’t mean that your employees won’t derive great value in seeing the result of their efforts. Think of the feeing of pride that a jet engine engineer will have in seeing the components of her work take off for the first time in a newly completed jet, or a professor feels when they see their students walk across the stage. No matter what your organization does or makes, a good rule of thumb is to make sure that everyone in the organization can see the value in what they are contributing. I could not possibly count how many times I have heard the statement, ‘there are no dumb questions.’While I very much appreciate the thought behind this—I am sorry to say that there are indeed dumb questions. A dumb question is question that is asked when the person has access to resources to find the answer, but doesn’t even bother looking.I often hear this type of ‘dumb’ question from my students, asking me something that is clearly (and often repeatedly) stated on the syllabus, posted on the course website and sent out via emails, yet they don’t even bother looking for the answer. Unfortunately, this affliction of asking dumb questions does not end when a student walks across the stage to collect their diploma. Early in my career I learned that I was only as good as my resources. This was especially important while I was working alone on the start up of an international trading desk and forming new relationships and entering into new markets. I couldn’t possibly know everything about each market I was trading in or all about each company that I was trading when I started out. Instead, I learned how to find the information I needed. Seek out the information you can find and then ask informed questions. But, just because there are dumb questions, this shouldn’t stop anyone from posing questions that they think may be dumb questions. 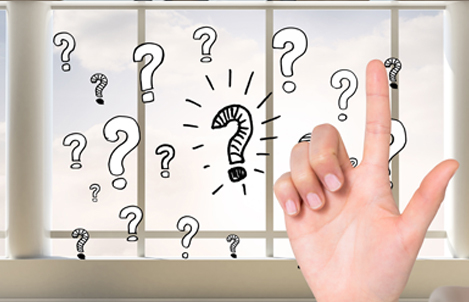 Usually these are the best questions that are asked—and you will be doing a great service to those around you by asking what you may think others know, but they are also wondering about.These are questions that clarify, guide us to more (and more) questions and spark innovation! 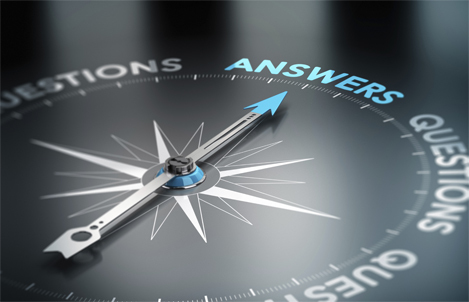 So, let’s ask the questions that open up dialogue and help us get to the answers that we need to be successful. But, let’s keep in mind that dumb questions lurk in the shadows of laziness and haste. Don’t be the one that asks the truly dumb question. Can You be an Effective Leader if You Don’t Feel like a Leader? If you don’t feel like a leader, how can you be effective in your leadership role? Many professionals in leadership roles are promoted or hired into the role based upon their technical expertise and effectiveness in their professional capacity, but many do not have the background or skills– and some do not even have the inclination to lead. People in all types of role are likely to fall victim to the traditional path of professional success within their organization, which results in the acceptance of a leadership role. The results of my research into physician leadership specifically, have shown the importance of a leadership identity to physicians in leadership roles, and I believe this is something that is the key to effectiveness for everyone in a leadership role. You must embrace your leadership role in order to be effective. Too many times over the years, I have heard of professionals who came to be in their leadership role out of obligation or because they were the one who wasn’t at the meeting. One physician leader explained that, “Someone had to do it,” and another told me that “It’s not anywhere near a real job.” (Gasp!) Granted, a physician should obviously be concerned with their primary purpose of helping people and saving lives, but there needs to be room for all leaders to see the value of their leadership. Hopefully, with increasing interest in leadership development and awareness of the importance of leadership, this becomes less frequent. But, at this point the need remains for more awareness on the importance of embracing leadership to be effective— for individuals, as well as the teams and organizations they work within. So, how does an individual come to embrace his or her role as a leader? In the case of physician leaders, my research suggests that this comes from individual acceptance of the role (I believe that I am a leader); peer endorsement of the leadership role (the physicians I lead may be peers from a clinical perspective, but I also believe they see me as an organizational leader); and my organization gives me the authority I need to enact my role. I believe these ideas are transferable to other roles and industries. Instead of the path to career success being only through progression into a leadership role, organizations need to recognize that many of their outstanding individual contributors are not well suited for, and in some cases not interested in leading others. These highly valuable members of their team should be offered an attractive career path that allows them to continue to contribute to the overall success of the organization within their area of expertise—not only through leadership roles. And organizations also should ensure that those individuals who do accept leadership roles are supported by those they serve as a leader, as well as provided the organizational authority and support that they need. As I wrote about in a previous post, it is difficult enough to focus on the tasks required of you as a leader and move seamlessly to the relationship side of leadership, let alone if you aren’t well suited for or interested in being an organizational leader. 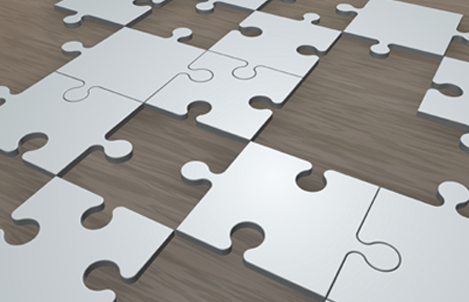 Does your organization have two paths to success? Or do you feel you are locked into accepting leadership roles to move up within the organization? A few years ago, I wrote this short article following a call from Blue Steps to executive women to share their personal experiences. It’s a few years old and I may have completed my PhD, and have started to enjoy a new career in academia, but it still stands that life is indeed an evolution and I still can’t wait to see what happens next! Ethics? That isn’t a matter of ethics! Recently, I performed a little ‘experiment’ in my undergraduate management ethics class. It was the end of the semester and I thought I would try to get the students a bit more energized on the final day of class by offering them a chance to add points onto their final exam grade. The idea came from a scholarly article, Teaching the Prisoner’s Dilemma More Effectively: Engaging the Students, by two professors of economics at the University of North Texas, Michael. A. McPherson and Michael L. Nieswiadomy. While the article was intended to outline a model for teaching behavioral economics, my interest in and use of this experiment was instead to teach behavioral ethics. This survey is part of a simple economic experiment. There is no obligation to participate, and no cost to you if you decide not to. The potential benefit is real: extra points added to your final grade. There is no risk to you, and all information gathered will be kept strictly confidential. – Do not talk with each other during the experiment. – Do not look at anyone else’s paper nor allow them to look at yours. Your answers will never be revealed to anyone else, including other students in this class. – If everyone writes 2, all students get 2 points added to their second midterm grade. – If only one students write an 8, both of them get 8 points and everyone else gets 0 points. – If more than one student write[s] an 8, everyone in the class gets 0 points. Throughout the class discussion, and even during my one-on-one conversation with him following the class, he remained steadfast that this was not a question of ethics. Now, his response may not be that curious if this were indeed used in an economics class, but I was really amazed by his response given that this was the final day of a management ethics class! This situation made me realize that we need to gain a better understanding of how well intentioned people come to make unethical decisions.We have see the results of unethical decision making in the media for more than the past decade of highly publicized scandals such as Enron, Tyco and more recently Madoff. But, what I believe is more interesting, is to gain a better understanding of smaller scale decisions that arise from a lack of attention to the ethical implications of a decision, which may be overshadowed by a focus on numbers, targets, and pressure to meet or exceed expectations. I recently wrote a post about switching from a task focused to emotionally/socially focused leadership perspective. The same neurological constraints may be at play with ethical decision making. If you are focused on being analytical, you may be suppressing your ability to be empathetic, i.e. how will this decision impact my peers, customers, etc. This is exactly what we saw with the student who wrote down an 8—he never considered the impact of his decision on anyone but himself! One key to ethical decision making is something that I realized during the course of my doctoral studies. Given the task of providing an ethical analysis of my own research, I came to understand that everything is an ethical question. Before you jump to conclusions, what I mean by that is that you must be aware of ethical implications of every decision that you make—and sometimes these are not obvious. A simple question that I give my students to think about when making a decision is whether would you want your closest friends and family to know the decision that you made. (How about your grandmother?) Really, this is a ‘gut check.’ Does it feel right? Maybe your ‘gut’ is off, so it helps to think of how someone you care about would feel about your decision. When we look at things from someone else’s perspective, even though it may not be obvious within our myopic view, a new understanding can come to light. 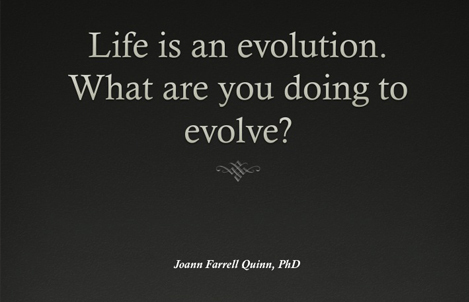 Joann Farrell Quinn, PhD is a consultant, educator and speaker focused on leadership and interpersonal relationships within an organizational setting. I am lucky enough to come into contact with some pretty good leaders from time to time. These are people who I think are in touch with what is important and are consistently working on being the best leader they can be. But, even good leaders are not effective all the time. Sometimes the pressures of day to day (week to week, and month to month) tasks pull a leader away from focusing on being a good relationship-oriented leader and they may struggle to get back on track. I can remember many times when I was heading up a trading desk that my leadership focus was definitely task-oriented. Making money for our clients and our firm pushed relationship management down on my priority list at certain times. But that is okay, because leaders need to focus on the tasks that are part of their role, too. Since I am often asked why I returned to pursue an MBA and then PhD, it was these times of high analytical focus that made me wonder if I was doing what I needed to in order to be an effective leader. Over the years as both a leader and as a consultant, I have found that the key to good leadership is to be aware of where your focus is, and make sure that you return to focusing on the other side of your leadership role as soon as it is appropriate. And of no less importance, to be aware that when you are focusing on an analytical task, this may deplete your prosocial resources. Anthony Jack, Kylie Rochford and Richard Boyatzis recently decoded what is happening when our brain is in a distinct task-oriented or relationship-oriented mode in an article in Frontiers in Human Neuroscience. They suggest that the better someone is in each domain, both task-focused, as well as socio-emotionally focused, the better they will become at switching back and forth between leadership roles, leading to more effective leadership. If we can train leaders to lead effectively through a higher level of awareness of what type of leadership is needed in which situations, as well as to move back and forth between these leadership roles, we will continue to see more effective leadership.